What is a Dog’s 5-Element Personality Type and Why Does It Matter? The Constitution or Personality 5-Element Type that best fits your dog helps predict strengths & weaknesses and disease your pet may be susceptible to. The 5-Element System helps you understand your pet’s personality, choose a companion pet, or prepare your pet for Seasonal Weather changes. The modern practice of Traditional Chinese Veterinary Medicine (TCVM) recognizes 5 Elements based on the Daoist (naturalistic) roots of the practice. The 5 Elements are Wood, Fire, Earth, Metal and Water. “What about air?” you ask, especially if you have read The Four Agreements. 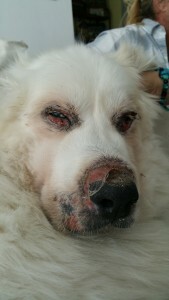 “In TCVM, there are 6 pathogens. Six disease-causing entities. They are Hot, Cold, Dry, Damp, Summer Heat (think heat stroke), and Wind. These 6 can knock the body off its regulating balance and cause symptoms we recognize as disease patterns,” says Doc Truli. What are the Dog 5-Element Types? Oscar is a classic Wood. Will fight first, ask questions later, Excels at nose-work. Strong, stubborn, must have his own way. Green is the color associated with the Wood element. Of course, there are no naturally green dogs- the 5-Element types can be any color fur. They often are representative of the Element. Sailor is a classic Fire Type. Hyper, happy, kisses up your nose. Photobombs expertly. Fire Personality photobombs the rainbow sock drawer picture. Yellow or Red are the colors associated with the Fire Element. Earth Personality Dogs – at their best – know how to enjoy a good meal. And a pillow. Orange or Brown are the colors associated with the Earth Element. Earth Element dogs can be very, very tolerant. Symmetrical body, beautiful haircoat, asocial Metal Element Shetland Sheepdog. White or gray are the colors associated with the Metal Element. Doc Trulis Water Personality German Shepherd contemplates the lake, while ignoring yours Truli, the photographer. Black is the color representing the Water Element. A veterinarian graduated from the University of Pennsylvania School of Medicine (“Penn Vet”) receives a Veterinariae Medicinae Doctoris degree, or VMD. It is Latin for a veterinary medical doctor. The University of Pennsylvania School of Veterinary Medicine has been discovering, defining and inventing the very definition of what it means to be a veterinarian in the United States since 1884. The foundation and perspective provided by an education from a top veterinary college benefits your pet in incalculable ways. Why Is a “VMD” Potentially Better? Many “firsts” in the world happened at Penn. The specialties of veterinary ophthalmology, oncology and equine orthopedic surgery were invented at the University of Pennsylvania School of Veterinary Medicine. Penn Vet’s Ryan Hospital is one of the United States’ busiest veterinary teaching hospitals, with close to 33,000 small animal patient visits each year, 13,000 of which are emergency cases. Imagine the rare and unusual diseases and conditions the students at Penn Vet see every day. Instead of 5 students discussing 2 or 3 critical care cases, we discussed 20 a week or more. Our teachers were the best in the world. Dr. Mattie Hendrick taught Doc Truli pathology. Why is this special? 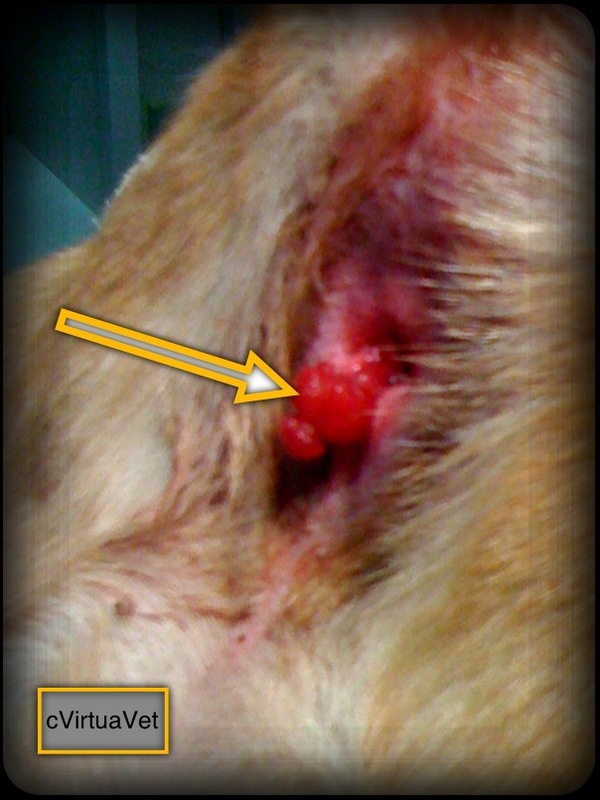 Did you hear about how sometimes certain vaccines can cause a cat to grow a cancer tumor at the vaccine injection site? Guess who discovered it? Yes, Doc Truli’s teacher, Dr. Hendrick. So when a client says to Doc Truli, “THEY discovered vaccine tumors,” Doc says, “my professor Dr. Hendrick is the “they” you heard about.” Day after day, for many hours, we worked side by side in the laboratory. Did you know that cats have blood types? You know, humans have A, B, O, AB and rhesus negative or positive? Well, cats have their own system and the wrong blood type in a transfusion could kill your cat in minutes. Why do we know this? Because of Dr. Urs Giger. Dr. Giger taught Doc Truli hematology at Penn Vet. Dr. Giger also happens to adore cats. He loves cats so much, he obtained funding to run his hematology lab specifically to research cats. Thank goodness Dr. Giger is fanatical about cats or the world may never have found out about cat blood types: A, B, and AB. The clinicians and researchers at Penn Vet share teaching responsibilities. For example, Barbaro’s surgeon, Dr. Dean Richardson, taught Doc Truli horse surgery. “What are you doing?” said Dr. Richardson, the world-famous surgeon. “Making one centimeter stents,” said Doc Truli, still a student and first time in horse operating room. “I didn’t mean exactly one centimeter,” said Dr. Richardson. “Well, with me assisting you, you get what you asked for!” said Doc Truli. The specialist said, “we’ve had 4 other cases in the past 5 days and we did not ask what they had eaten. I’m going to check that.” They all had chicken jerky treats from China. 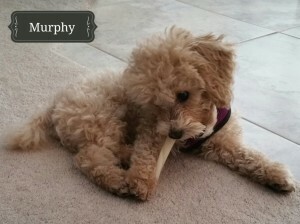 Cooper City Veterinary Specialists in South Florida published the discovery of another kind of kidney failure chicken jerky treats from China were causing in our pets. Would I have known to collaborate with the specialist and collate the information effectively without my Penn Vet background? I’ll never know. It’s just what I do every day for every patient. Do you want your pet to be treated by a person who read about the problem in a book, or by someone who was personally taught by the discoverer of the problem? Do you want a vet that follows what the specialists say and what the textbook protocol is only, or do you want a vet with the knowledge and experience to know if your pet has something rare, or something new? If I can have the best, I want the best. The Only Veterinary School Developed in Association with a Medical School: So What? Veterinary medicine in America used to be a trade. Trimming horse hooves, drenching cows, skills that farm managers typically delegate to farm hands today. Penn Vet never thought that way. Founded in 1884, Penn Vet is the only veterinary school developed in association with a medical school. The medical college at UPenn sits a few blocks down Spruce Street from the veterinary school. They co-evolved over the years until today, they are members of the One Health Initiative linking human, animal, and environmental health. “But that was 1884,” you say. Well, yes. Doc Truli explains how the unique relationship of Penn Vet at UPenn Med directly allowed her to help research dog brain cancer cures. “As a Penn Vet student, I was selected for a prestigious Merck Research Fellowship studying a herpes virus as a backbone – or vector – to deliver a unique brain cancer treatment into dog brain cancer,” says Doc Truli. The research took place at Penn Vet, Wistar Institute and the University of Pennsylvania Medical College. “The Wistar Institute had the DNA laboratory. The medical school had an awesome machine shop where we could make a metal-free stereotactic unit to hold and measure exactly where we were in the dogs’ brains (like a frame to hold the head) and the magnetic resonance imaging (MR) facility. Penn Vet had the dogs and the surgery suite and the – well, frankly – the funding from a research grant to make it all possible,” says Doc Truli. “I can tell you- I was struck by all the marble and brass in the medical college! We do not have fancy building materials like that at the veterinary college,” says Doc Truli. The collaboration and geographic proximity of the medical and veterinary colleges and unique world-class institutes like the Wistar Institute and the Philadelphia Monell Chemical Senses Center make ideas and initiatives flow. “I collaborate with world-class specialists to benefit my patients to this day,” says Doc Truli. The University of Pennsylvania School of Veterinary Medicine has been discovering, defining and inventing the very definition of what it means to be a veterinarian in the United States since 1884. The unique geographic convenience of top research institutions in West Philadelphia generate opportunities such as Doc Truli’s brain cancer research. The generous case-load of primary and referral patients from Philadelphia and the surrounding states provides patients to study and heal. The New Bolton Center large animal hospital has treated the most famous horses in the world, including Barbaro and Annihilator. The mission of the University of Pennsylvania School of Veterinary Medicine to bring Specialty practice to the profession started in the 1940’s and continues today. This school generates unparalleled scientists and clinicians. So what is a VMD? 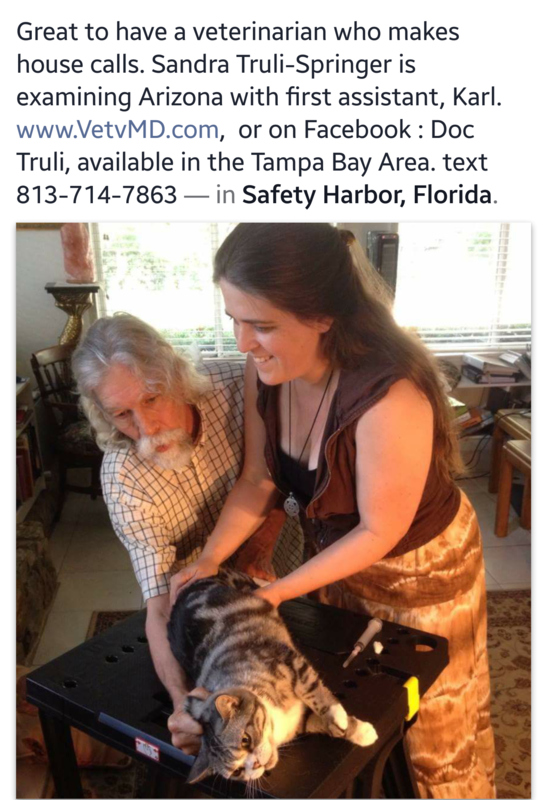 Doc Truli is a VMD. 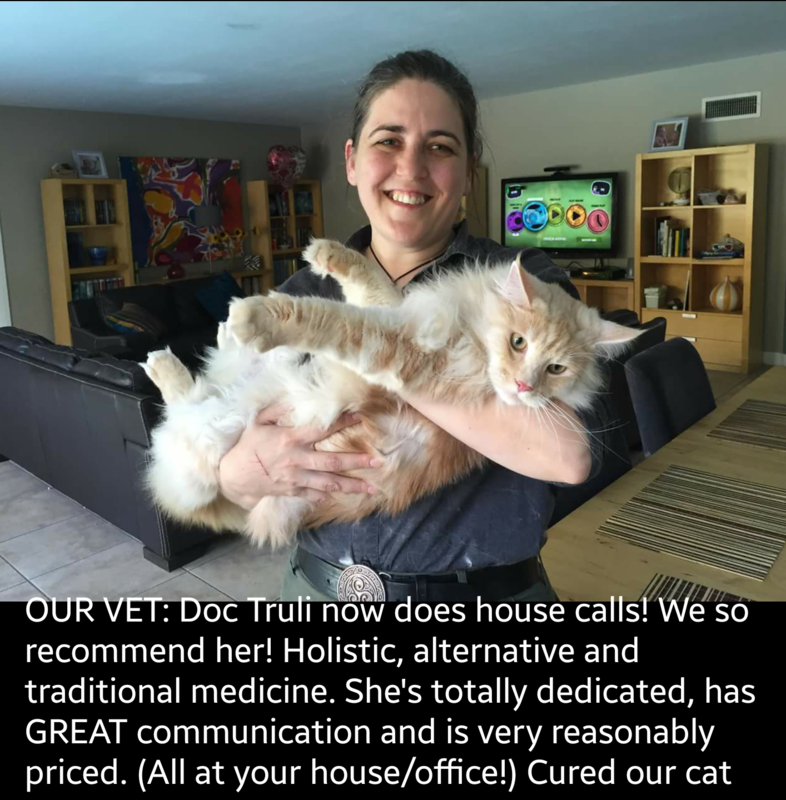 Your pet will enjoy top world-class care and treatment with Doc Truli. What Is the Holding Pattern? 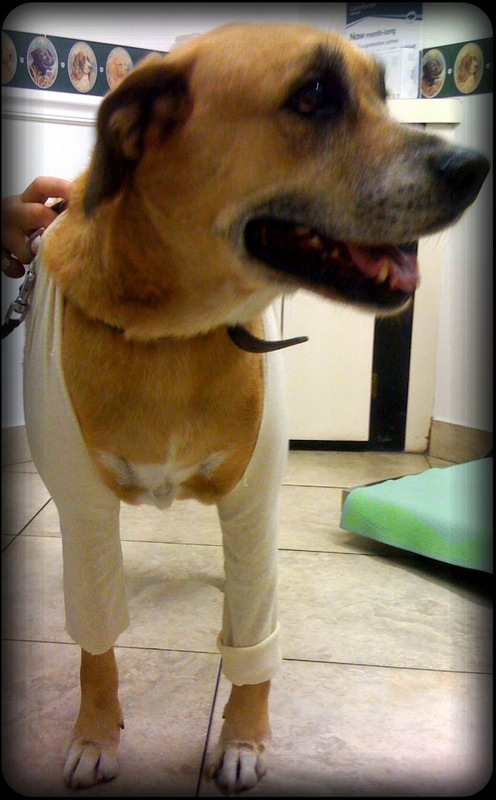 Imagine this: your pet has itchy skin. Maybe a few sores, maybe a bacterial or yeast infection. 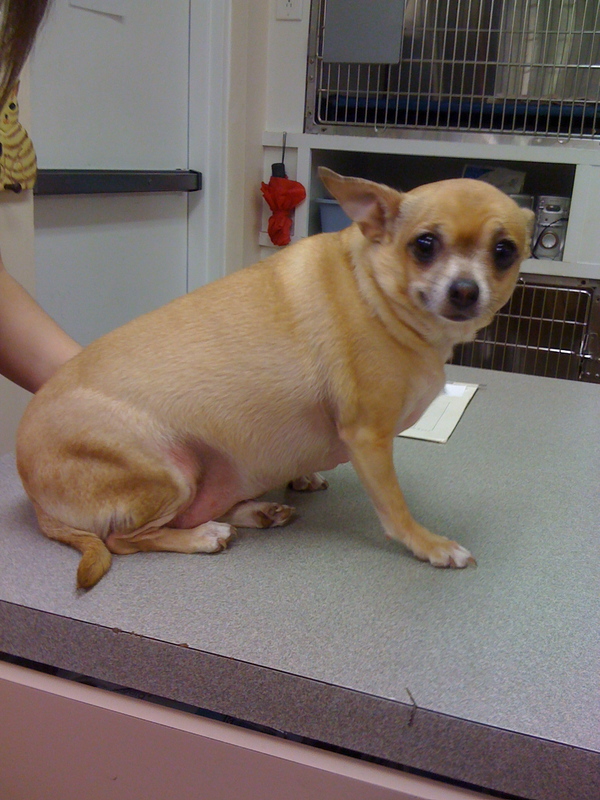 You went to your veterinarian and your pet received a steroid injection and antibiotics. Probably you also took home some medicated shampoo. If your veterinarian practices integrative medicine, you likely also took home some omega 3 fatty acids and prescription skin support food. 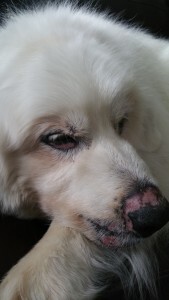 Maybe your veterinarian ran the appropriate diagnostic tests for skin problems: a skin scrape cytology, skin tape cytology, fungal culture, trichogram and maybe an endocrine and thyroid function blood panel and serum allergy tests. The cost was tremendous and the results were pretty good. For a few months. “I read your website and you just seem like the right vet for me and Maggie,” said Connie on the phone on a rainy Tuesday morning. 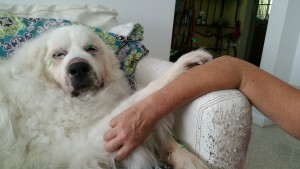 “Maggie cannot take the stress of a car ride and she hasn’t been to vet in about 10 years. 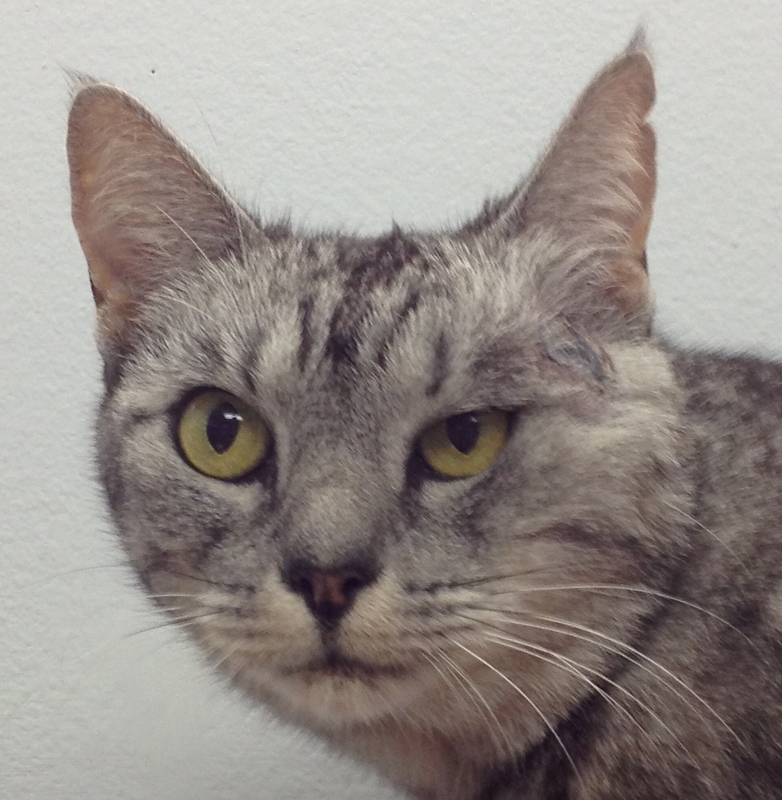 I know I should have called sooner, but the last vet we saw made me feel guilty and belittled my point of view. 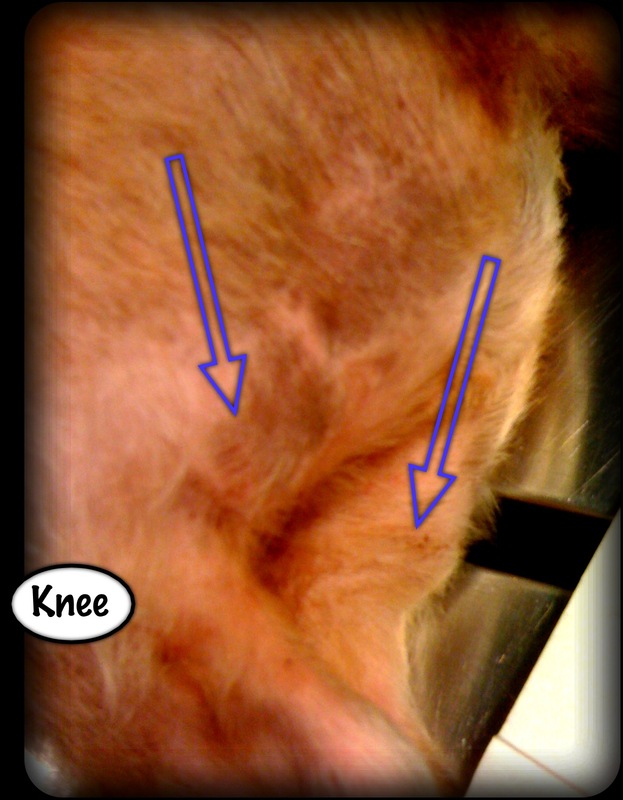 Okay, right here, many veterinarians would judge any client that has not spayed or neutered a pet dog or cat. You might get shorter questions and answers from these vets or maybe even a dismissal. 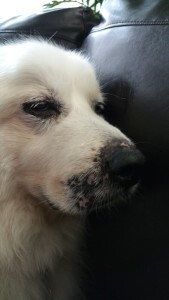 I knew lecturing about spaying a 14-year-old ill dog is stupid and hurtful to her family, who are actually reaching out for help for the first time in many years.